While every pool may not have a liner, every pool does have a pool bottom. As with any other structure, pool bottoms can become damaged and quick repair is important to protecting the integrity of the rest of the pool. Pool bottoms can become damaged due to various reasons including leaks, erosion, ground movement, and time. When your pool bottom is damaged or in need of repair, you need a competent repair team that you can trust —look no further than Florida Pool Care Pros! At Florida Pool Care Pros, we understand how important the investment you made in your pool is and would like to help you keep your pool looking and functioning like new. 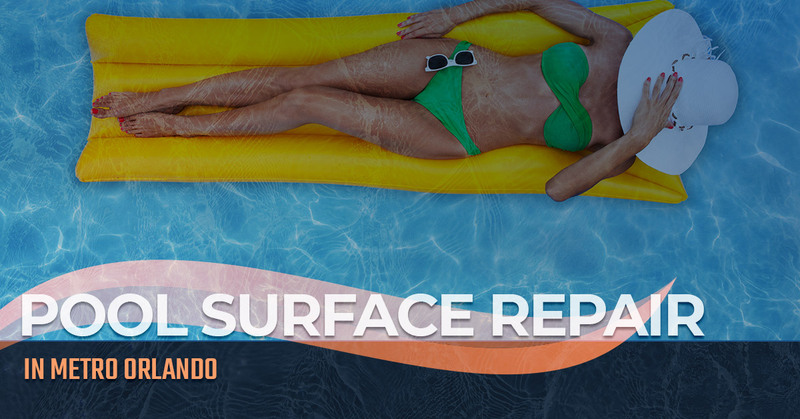 If there is any damage to the pool bottom, give our experienced pool repair experts a call for your free estimate. Concrete and gunite pools rank as the most popular pool types in the United States. In-ground pools that are dug out and poured, rather than pre-manufactured and installed are generally concrete or gunite. While these materials are sturdy, durable, and watertight, making them the ideal pool building material, they are not without qualities that allow them to be damaged. Concrete can crack, especially when under great force (like ground movements) or if there are hollow spots. Fortunately, concrete and gunite are both relatively easy to repair. Our expert crew is more than ready to tackle any pool resurfacing project so give us a call today!